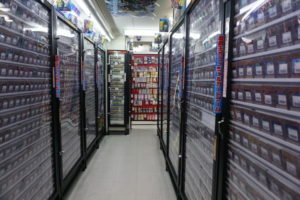 The Place Where You Can Find Many Rare Items! 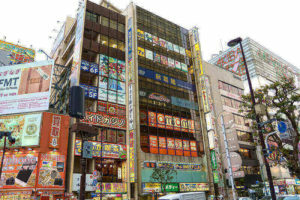 Akihabara is a special place where you can find Otaku goods featuring animation and game characters from all around the world. 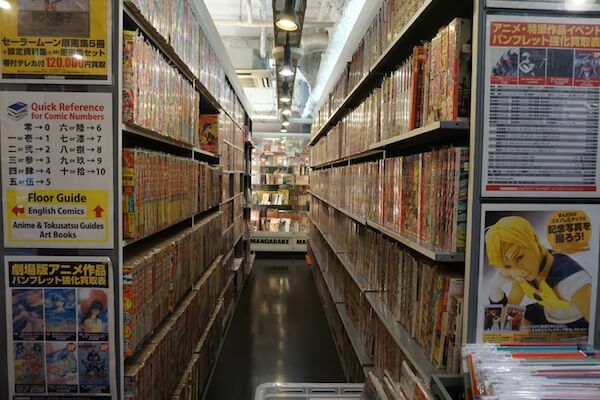 Today, we will introduce you Mandarake where you can find even the rarest of games, anime DVDs, figurines, and comics. 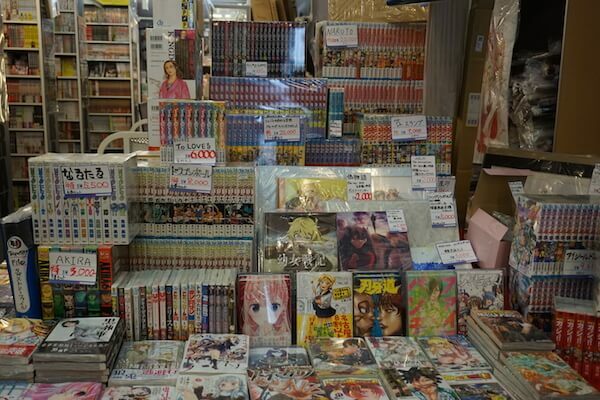 They sell only Otaku goods on each of 8 floors! Look for a tall, black building! 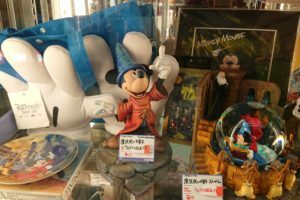 Mandarake is located only 4minutes walk from Denkigai exit of JR Akihabara station. 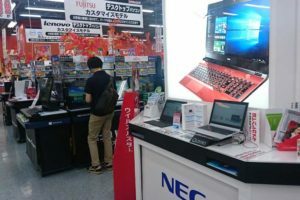 If you are not looking for a specific item, you can easily spend your whole day just wandering around the store. 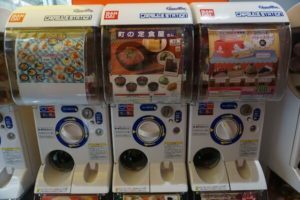 There are so many fun goods you will definitely use a lot of your time checking them out. 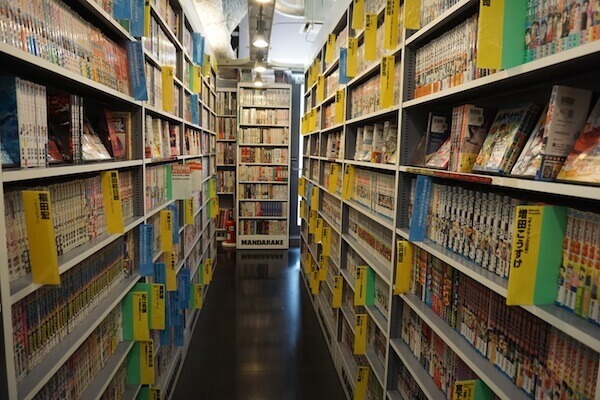 All 8th floors are full of countless products, however, the 3rd – manga floor – made the biggest impression on us. 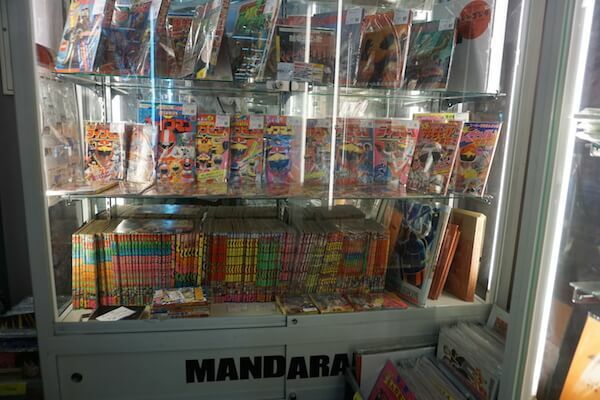 Even though all comics are second hand, they are all well kept and look brand new. 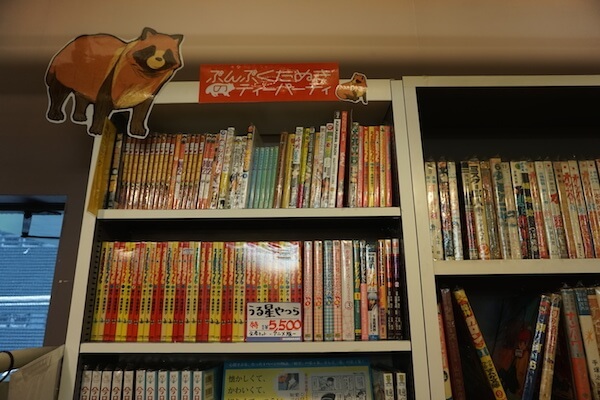 Unfortunately, their English corner has only a few books. 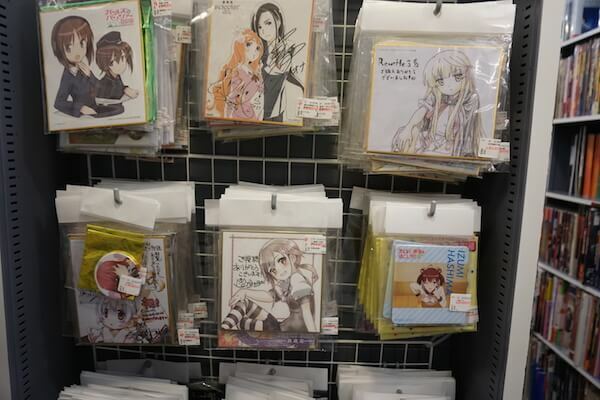 However, you can find many other fun goods like rare painting and photo books and even anime scripts. 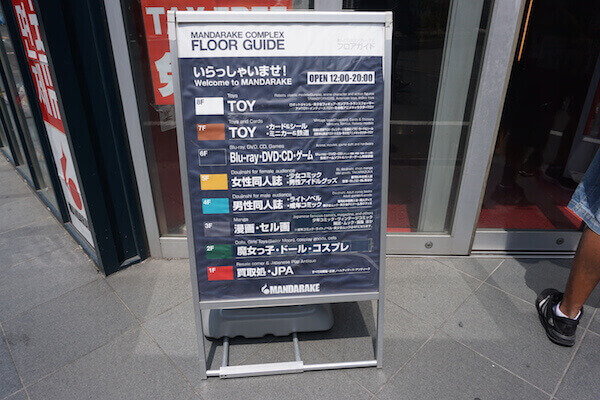 Once you enter the store, you will probably want to know the basic rules: what you can find on each floor, if you can touch the products, where to pay etc. 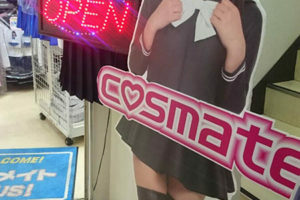 You don’t have to worry about that in Mandarake. 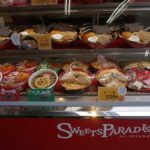 There are English signs everywhere! 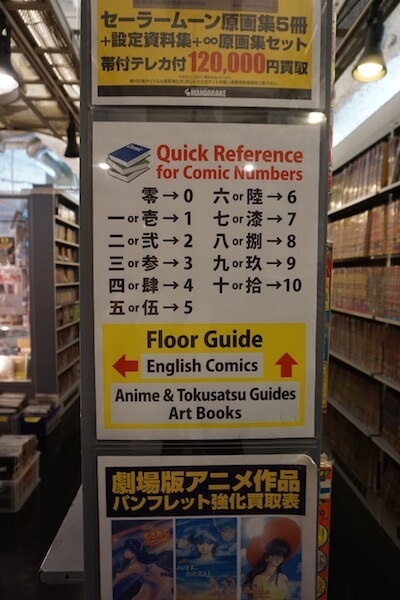 They number all volumes, too. 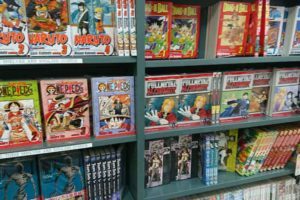 Before buying a manga, most of you probably would want to check the volume number. Here, there are numerical notations on each book. 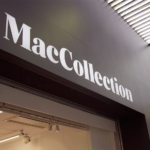 If you still have some questions, don’t hesitate to ask one of their store clerks. They will be more than glad to assist you. 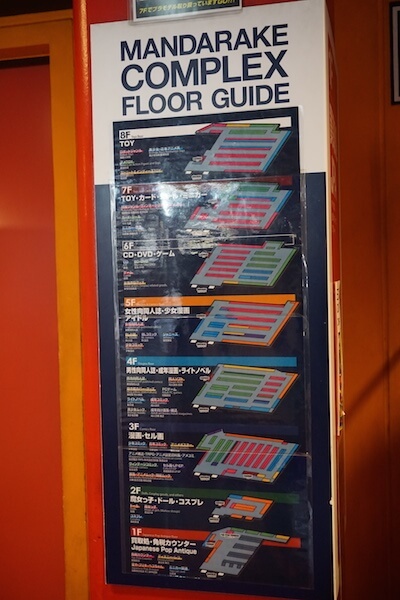 We advise you to lightly check each of the floors first and take a note of the shelves you found interesting. After that, you can go back and revisit the spots you liked. 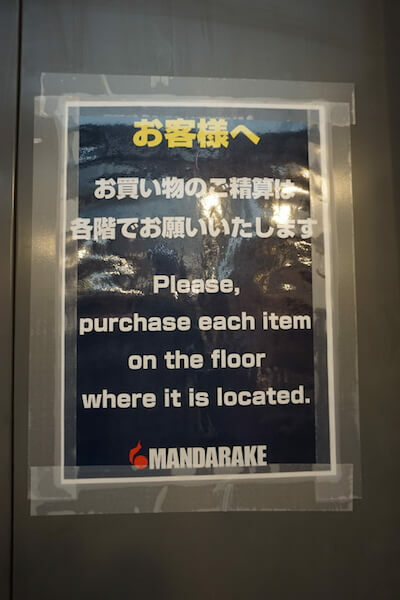 It will take you a lot of time to go through every floor so, this is a good way to efficiently use your time and still find the items you like. 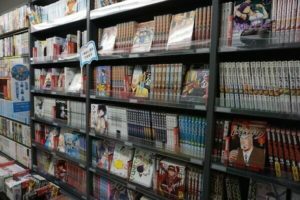 The space between shelves is narrow so, you can feel it is a bit too tight when passing other people. Think of it as a game with obstacles and it can be a lot of fun!